I grew up going to church on Sundays. We were Protestant (if that matters to you). We were told all the stories. The dos and don’ts. We were told what to believe, what was right, and what was wrong. Eventually I became me. I changed, and I decided to think for myself. Today I am not religious. I do not have faith in things that fly in the face of reason and science and logic and common sense. I do not think that it is right or wise to adhere to the dogma of blind faith, or to judge, hate or seek violence against anyone who does not believe the way I do. I wish we all took that stance. This is not a judgement of religion, however, however, or a plea for the world to abandon all faith. Everybody needs something to sustain themselves when they face the toughest challenges in life. My faith is in myself, but I do not condemn anybody for having faith in something or someone else… But when your faith demands that you treat another with anything less than compassion, love, tolerance, and acceptance, you might want to examine whether it is really worth holding on to. I believe in no god who would condemn people for loving each other regardless of who they are, the color of their skin, their genders, their belief, the years they’ve lived, their cultures, or practically any other reason… A god that opposes love is no god at all in my book. There are places on this planet at this very moment where these words I’ve just written are not only considered blasphemous, but are justifiable grounds for my swift execution. Just for words! So many other people might read that and righteously declare that this is why we must fight against such people until we’ve wiped them from the face of the earth… And they are no better. But what does one do without the anchor of religion? Am I suddenly a hedonistic heathen, bent on pleasure for myself at the expense of others? Why not take what I want from those who are weaker? Why not lie? Why not cheat? Why not murder when the whim strikes me? Those are the questions that keep so many clinging to the remnants of belief in a deity… The fear of the void that would be left without one, and the fear of the chaos that might fill it. But those fears are unfounded and as childish as a fear of made-up monsters. I can assure you that I have committed no heinous crimes because of my own lack of religion… Quite the opposite. We are social creatures, unable to survive alone. We are part of everything else on this little planet, and so anything we do to it, we do to ourselves. I try harder than ever before to be what I think might be a good person, and to do good things. I do not lie. I do not hate. I try to be tolerant, and fair, and just. But what guides me? Where are my stone tablets full of rules? They’re ingrained… Natural. A true moral compass of your own will always serve you better than a moral map written somebody else. Still… after asking myself those questions, I suppose I could compile a possible list of my personal ten commandments. Maybe they’re not perfect. Maybe they’re repetitive, or maybe they’re incomplete. Maybe they are true for just today… Or maybe they make more sense than thirty five hundred years of rigid fearful doctrine full of forbidden dont’s and guilt. I’ll let you decide. I think if I could live by those guiding principals I would likely leave the world just a bit better than I found it. But maybe you have an even better list. 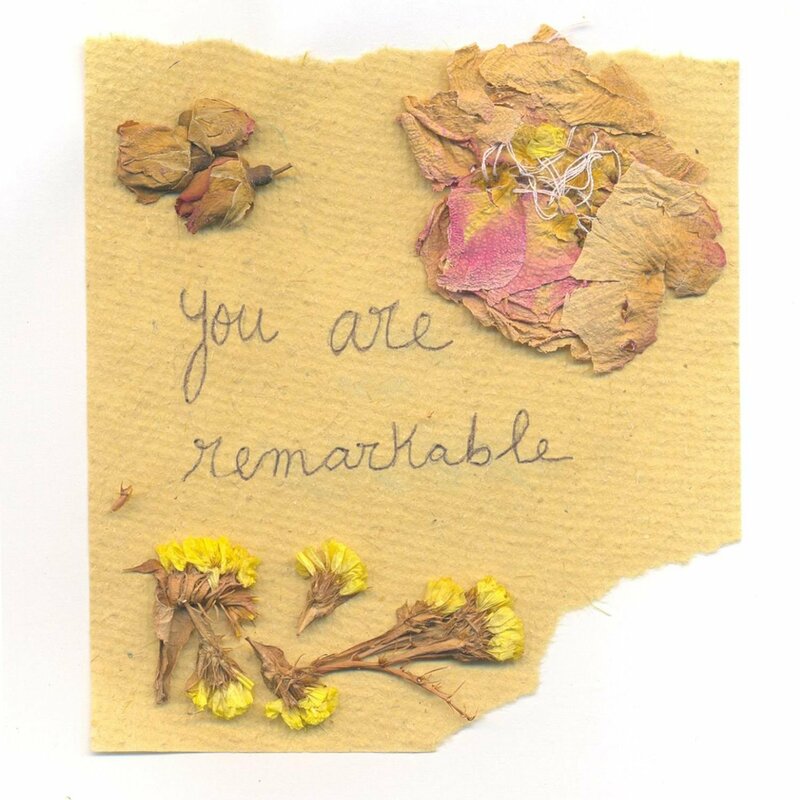 (You are, after all, remarkable). Share it! Maybe you’ll launch a new religion of sorts. A new set of beliefs… One that brings us all closer together. One that guides us to take care of each other and ourselves.